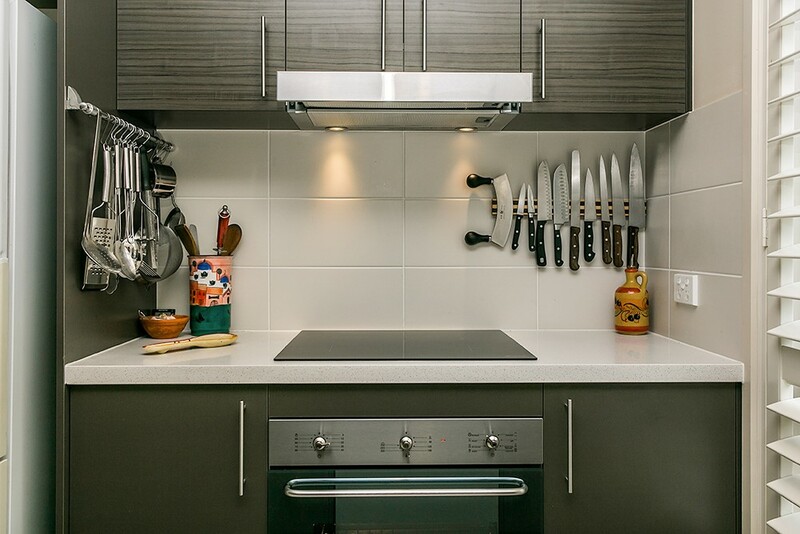 D & L custom Cabinets provides a full custom design and installation service. 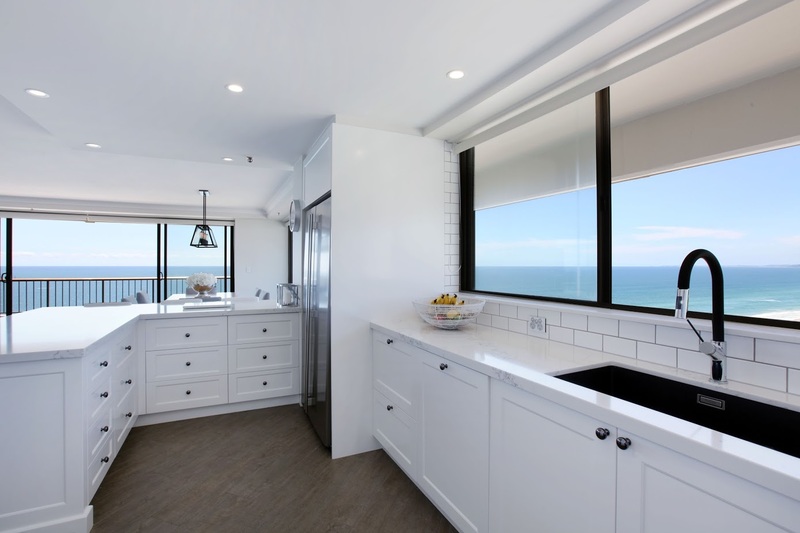 We also design and build kitchen cabinets, bathroom cabinets, laundries, shop fit outs and office spaces. The difference in our service is that we take care of everything and organise all trades to save you time and stress. 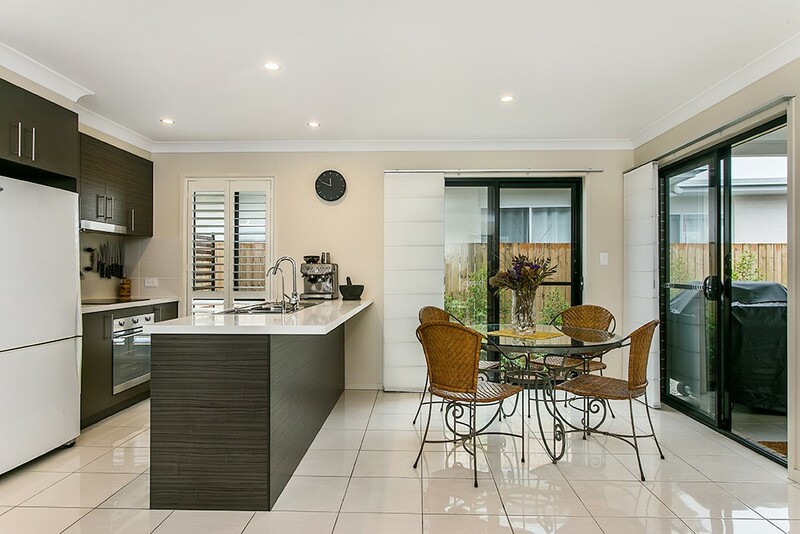 This Kitchen is a slimline cabinetry look with no handles and a super natural quartz benchtop. 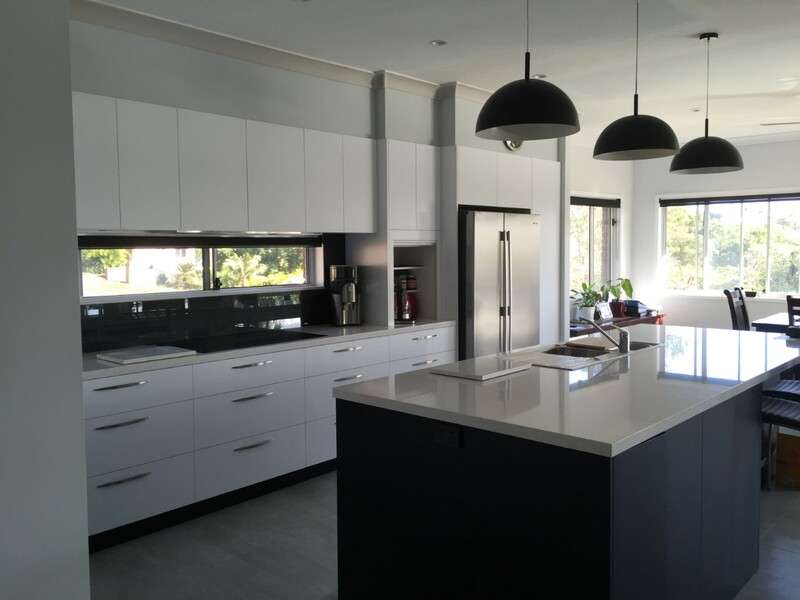 The benchtop is 40mm mitred Caesarstone Vanilla Noir with waterfall ends. 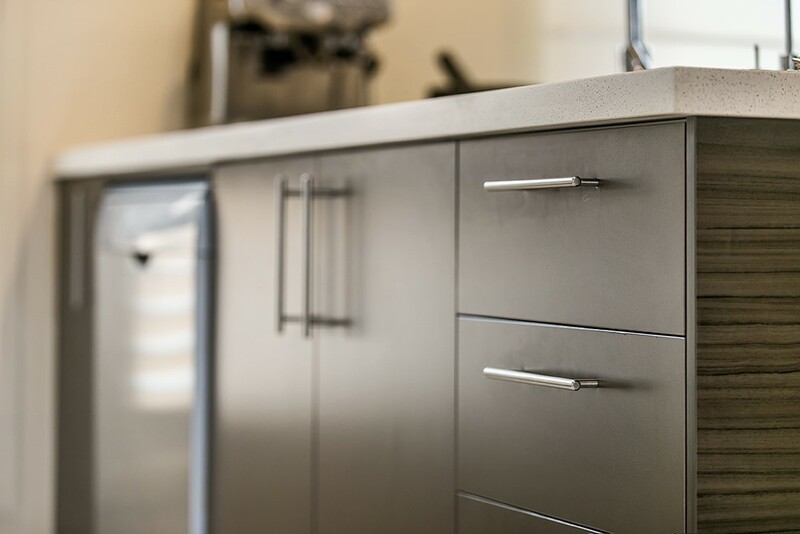 The doors, drawers and panels are all stylelite Arctic Gloss and drawers are all finger pull. 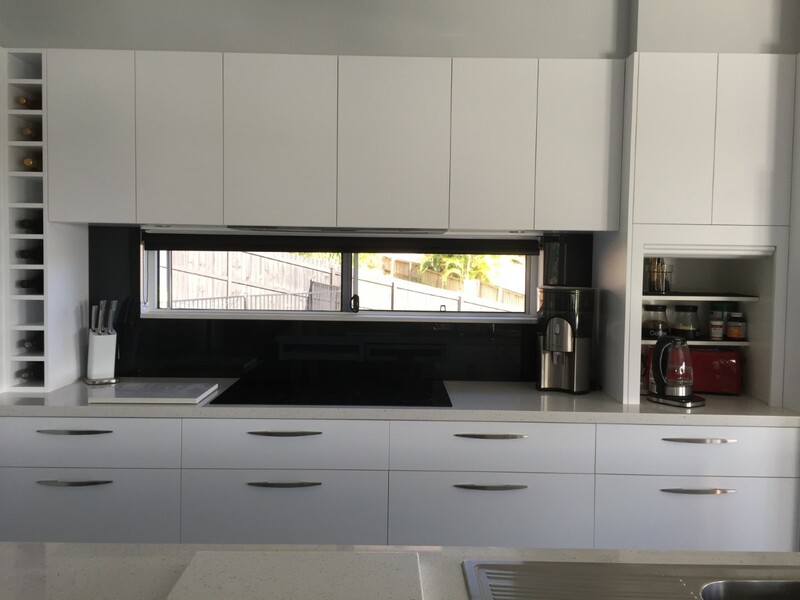 The splashback is 20mm Vanilla Noir. 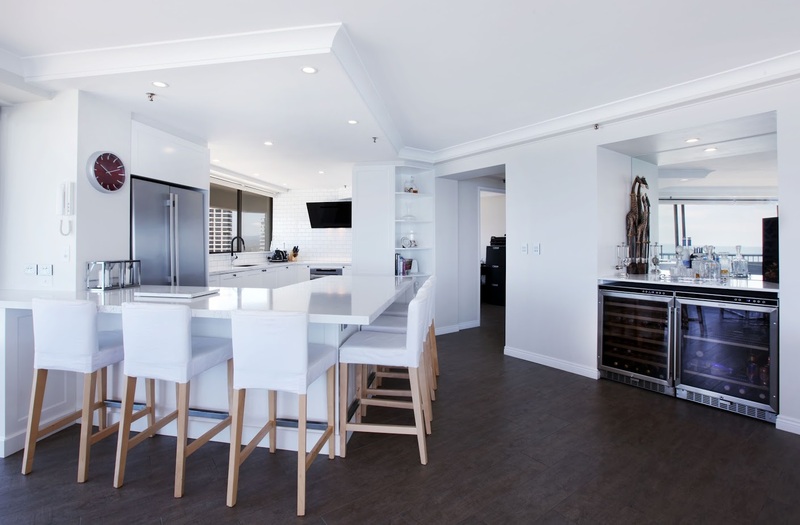 Kitchen design by D & L Custom Cabinets. 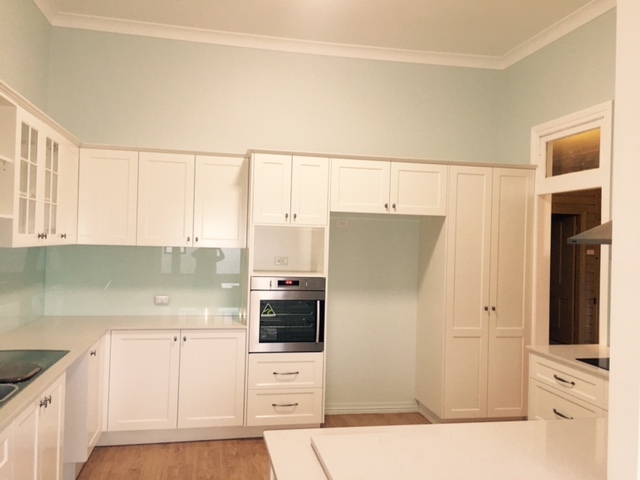 This kitchen is a hamptons style kitchen with 2pac heavy rout dulux paint colour Kavier. 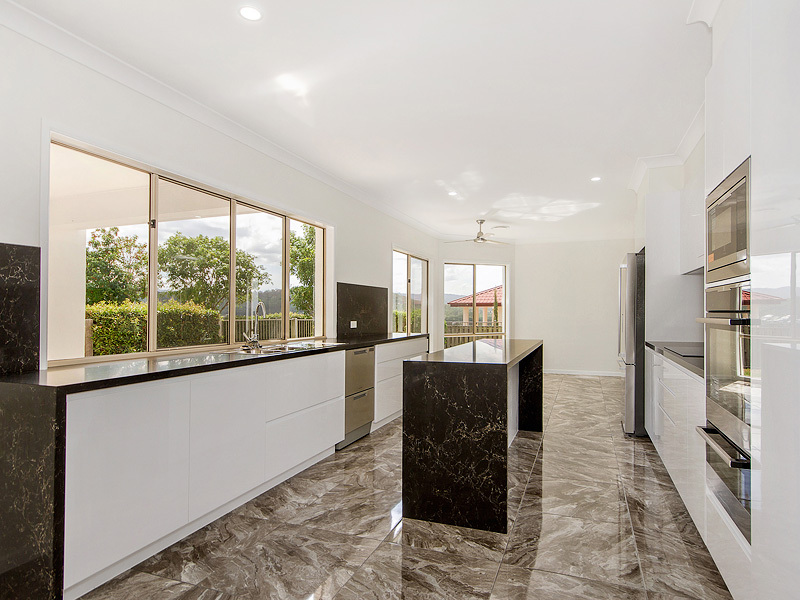 40mm mitred quantum quartz statuario stone. Hamptons style black chrome knobs. 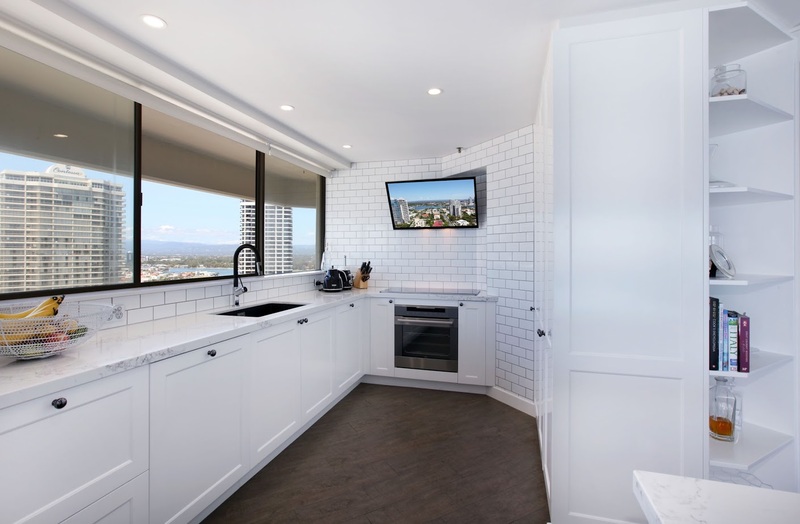 Splashback is 200 x 100 white gloss subway tiles. 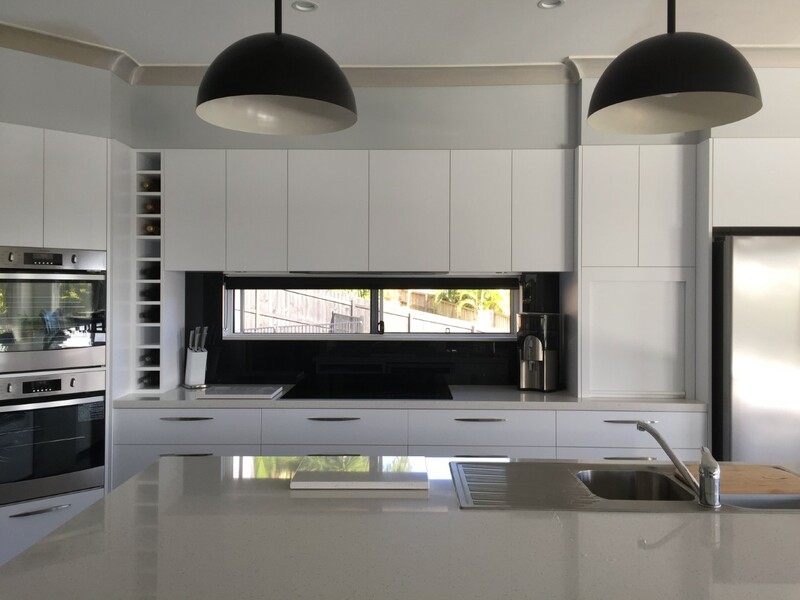 This kitchen is a modern style kitchen with stylelite Arctic White Velvet on drawers and doors with a feature colour of Stylelite Carbon Velvet. 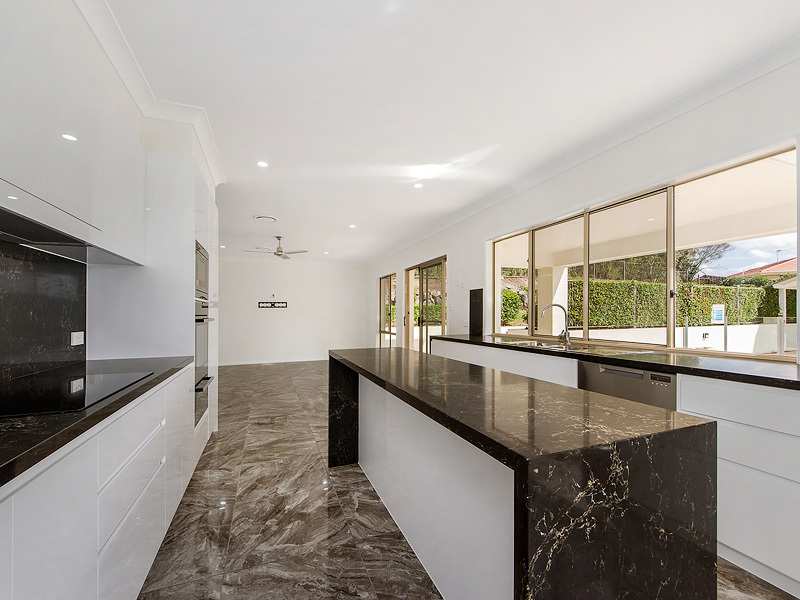 40mm mitred sile stone blanco maple orna. 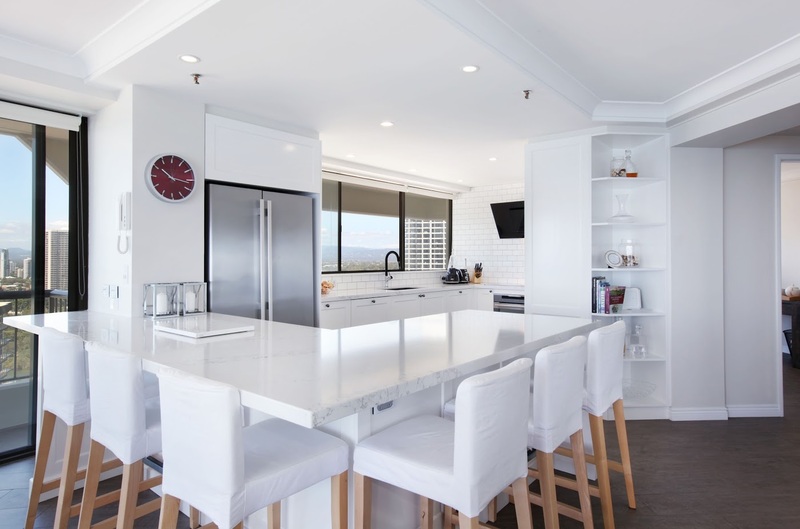 This is another hamptons style kitchen with 2pac heavy rout warm white drawers and doors. 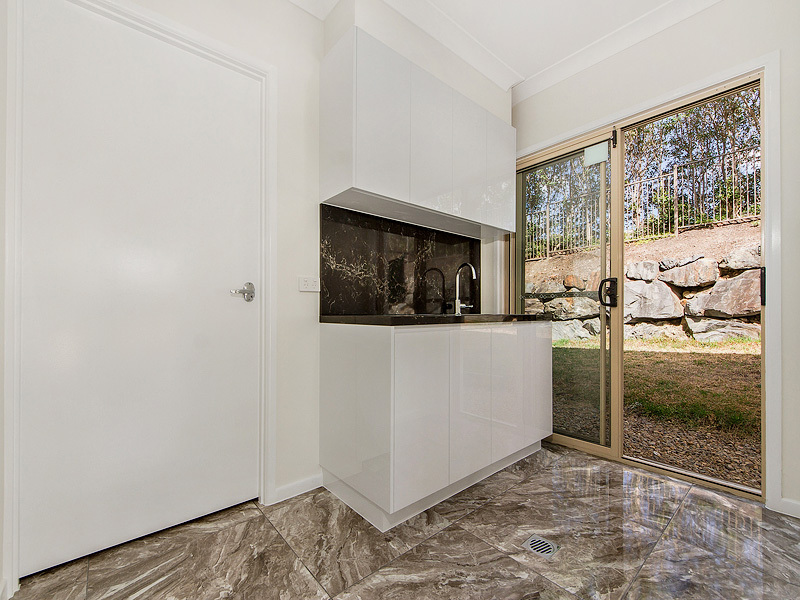 Essa Stone benchtop 20mm French Nougat. Hampton style pulls and matching knobs. Feature Glass display cabinets with 2pac wine rack and open shelves. 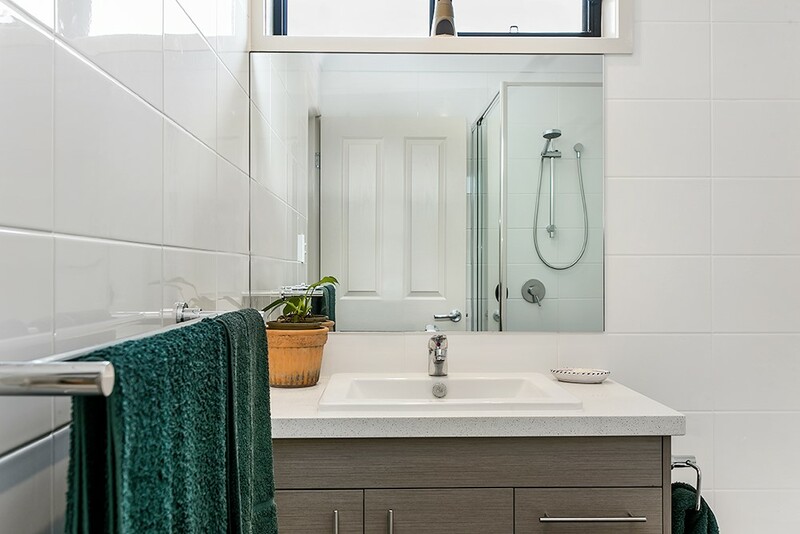 Splashback is white on clear float glass. Laminate bench tops with horizontal grain. Doors and Drawers Polytek Carbon Micro Malt finish with feature colour Polytek Exotic Wood. 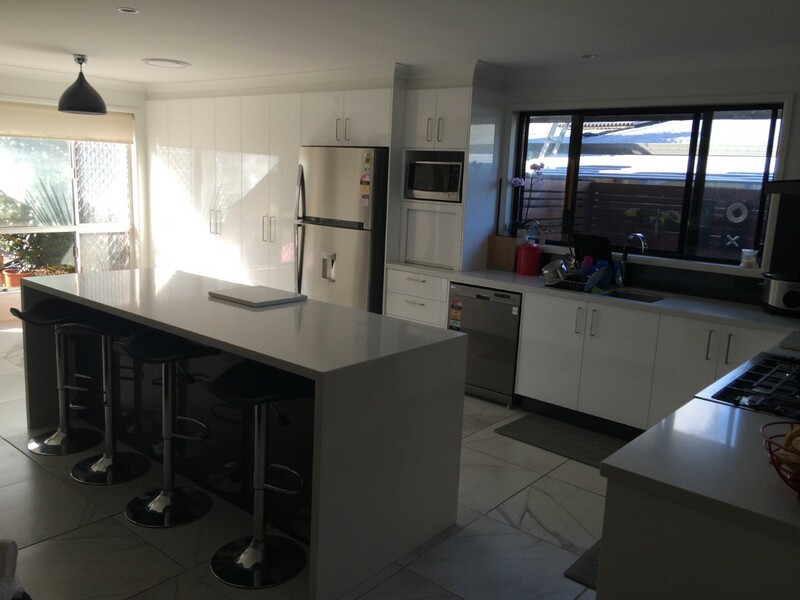 20mm Caesarstone Ice Snow Stone Benchtop with a tile splashback. 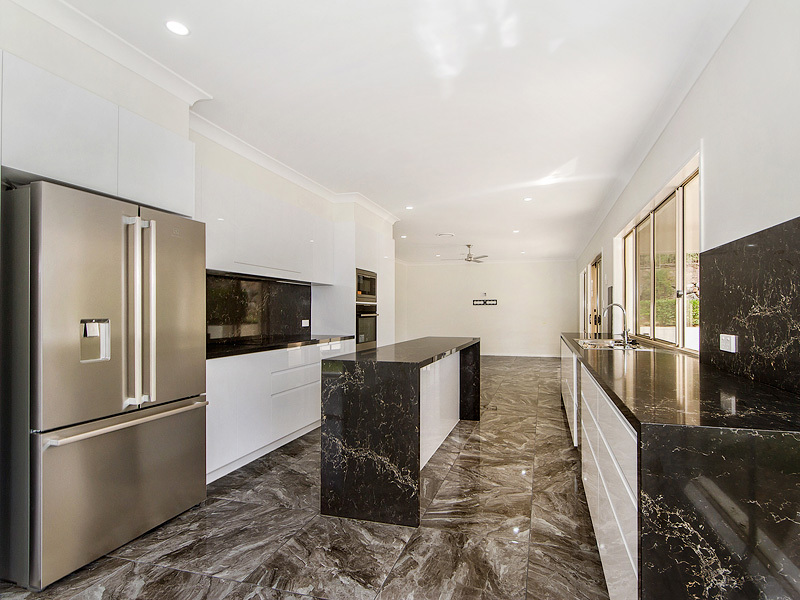 Smartstone 40mm mitred Astril stone. 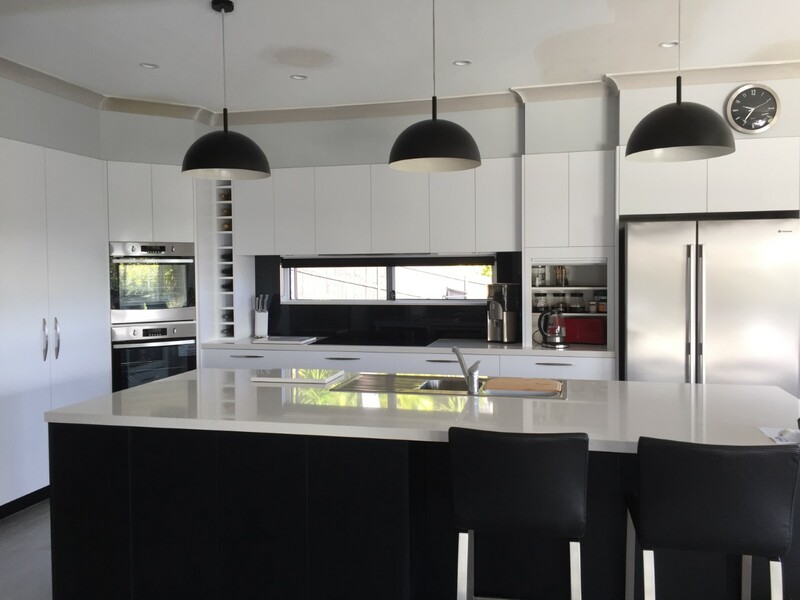 2pac white gloss doors and drawers with feature colour stylelite Metallic Graphite. 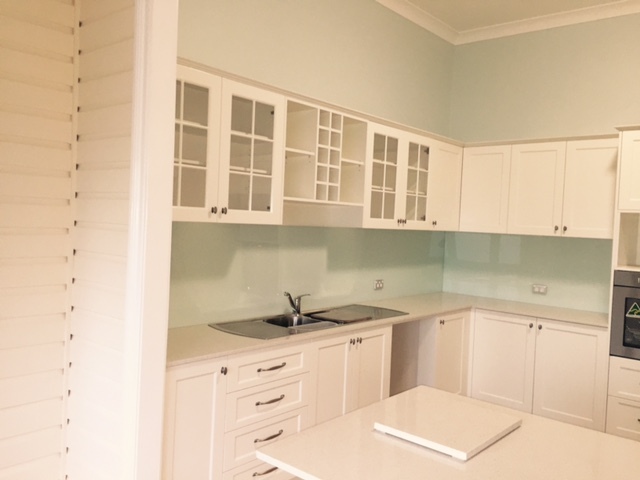 Durable & Affordable Custom Built Cabinets.